the next worst thing after a limp handshake is a clammy handshake. unfortunately, a clammy handshake, you really can’t help (unless of course, you get surgery for those sweaty palms – who knew that was even possible!? ), but limp handshakes? c’mon. yes, i judge you based on your handshake. umm yeah…how do i make a transition from handshakes to delicious white clams? forget it. C.L.A.M.S!!! Melt butter in large pan over medium-high heat. 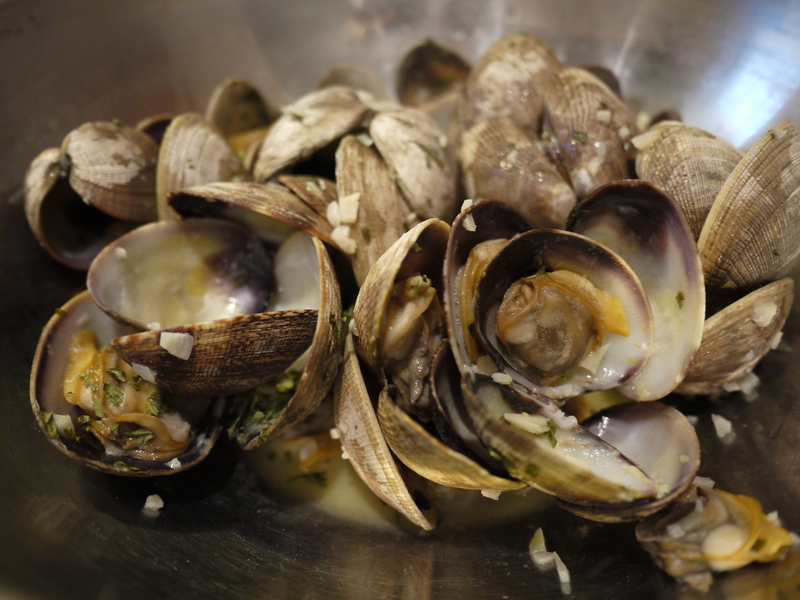 Add the garlic and clams to the pan, and stir for 2-3 minutes. Some of the clams will already start to open up. Add the wine (or stock) to the pan and cover to steam. Check on the clams until all have opened and the wine has reduced. Yank out any stubborn clams that refuse to open. Stir in parsley and serve. The broth will taste good served with some sort of toasted bread. 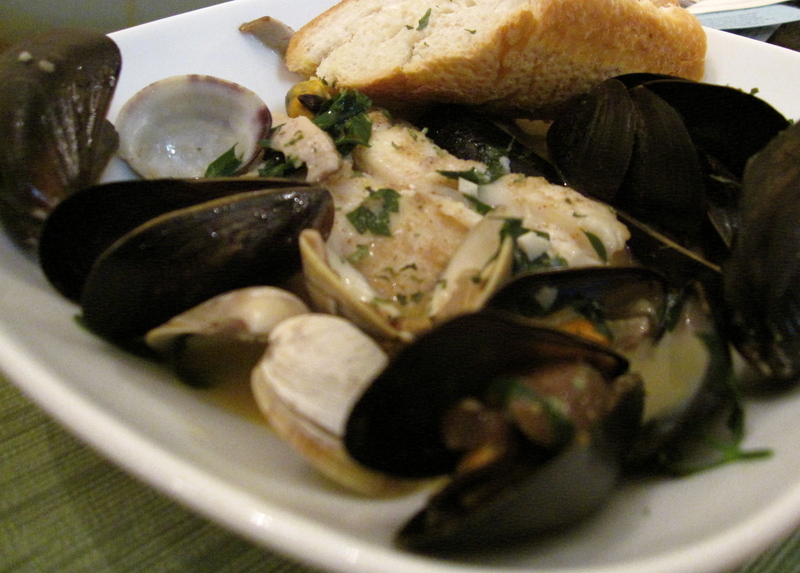 You can use this simple recipe and mix in mussels as well. 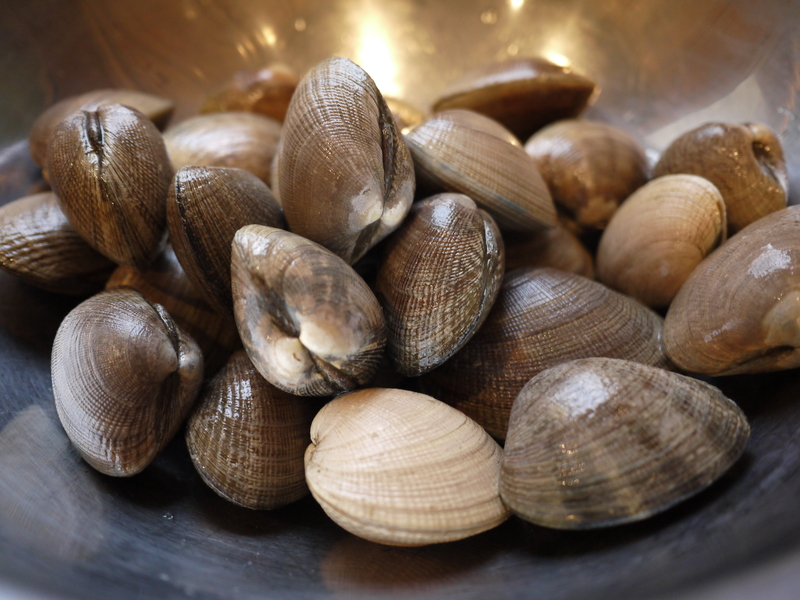 Or, you could just stick to plain clams.